Nursery and greenhouse managers oversee growing environments for plants used in landscaping and gardening. They manage the production of everything from trees and shrubs to flowers, vegetables, and the turf used to patch lawns. These managers have an unusual combination of activity, as their work includes working outside and with their hands, managing people, and selling products in a retail environment. While their employees do more of the “in-the-dirt” work, nursery and greenhouse managers focus on operations and planning to keep the business running at peak efficiency. They set the planting and care schedules and determine growing conditions such as temperatures of greenhouses or cycles for hydroponic growing systems. 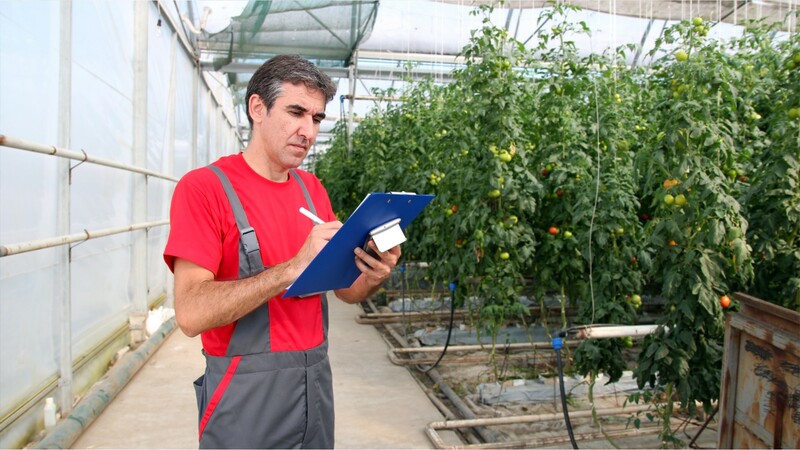 Nursery and greenhouse managers hire and train employees, assign work schedules, and negotiate contracts with clients. They also do some of the hands-on work, from preparing soil and planting seeds, to pruning trees, and applying fertilizers and pesticides. Most nursery and greenhouse managers spend a lot of time on their feet, moving around both outdoors and indoors. Education requirements vary; while many nursery and greenhouse managers have a bachelor’s or associate’s degree, not all positions require a degree. See more details at O*NET OnLine about nursery and greenhouse managers. Nursery & Greenhouse Managers by U.S. Department of Labor, Employment and Training Administration is licensed under a Creative Commons Attribution 4.0 International License.